There are many lawyers in the state of Virginia that claim they are the best to be hired for personal injury claims, but how can a normal person determine which lawyer can actually assist them in their lawsuit? Before hiring a lawyer for a personal injury claim, an individual should study their own case and compare it to older similar cases to ensure that the lawyer they hire is doing their utmost best to achieve a ruling that is in their favor. There are certain things a person can expect from their attorney when working on a personal injury lawsuit. Before considering taking on a case, the attorney will first check that the case is within its statute of limitations. In the state of Virginia, the statute of limitations for most personal injury claims is 2 years from the date of the accident. If a client refuses to settle for what the defendant is offering, the case will then be presented to a judge. In court, the attorney will attempt to persuade the judge that the defendant was negligent and should be held liable for the entire accident.  To prove negligence, an attorney will show that the defendant was irresponsible and was aware that the circumstances they had caused were hazardous. To prove liability, an attorney should have enough evidence to indicate that the defendant is the only person/party that can be held responsible for the accident. In the state of Virginia, if a judge determines the defendant fully responsible for the accident, the defendant is obligated to pay for all reimbursements needed by the client that have been approved by the judge. Virginia is one of a few states that adhere to the ‘contributory negligence’ law. If a defendant is capable of proving that the plaintiff is also responsible (even slightly) to the occurrence of the accident, a judge will not grant any compensation to the plaintiff. An attorney should discuss the possibility of this occurring with their client and how it may or may not play a role in their case. If you need a Virginia Personal Injury Lawyer to help you with your Personal Injury case in Virginia, call us at 888-437-7747. Our Virginia Personal Injury Attorneys can help you.